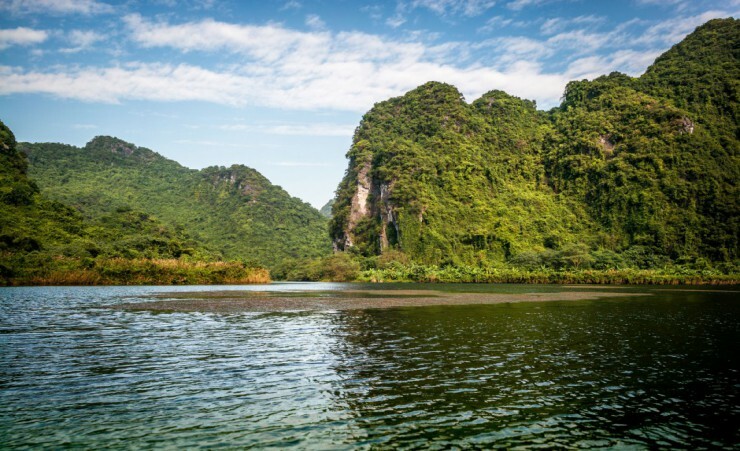 Wander through terraced rice paddies and palm-clad hills as you follow northern Vietnam's scenic rural walking trails, visiting the majestic Hieu Waterfall, remote village settlements, Pu Luong Nature Reserve and spectacular Ninh Binh. 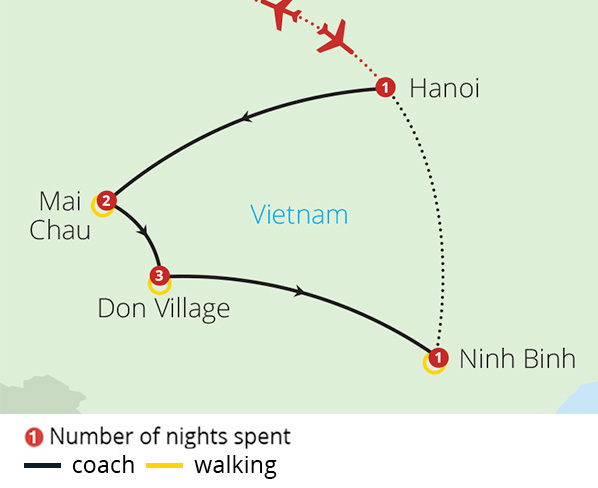 Depart the UK on your scheduled, overnight flight to Hanoi. On arrival in Hanoi, you will be met and transferred to your hotel. After lunch, a walking tour of this vibrant city begins at the Ho Chi Minh Complex where the father of modern-day Vietnam declared the nation's independence in 1945. 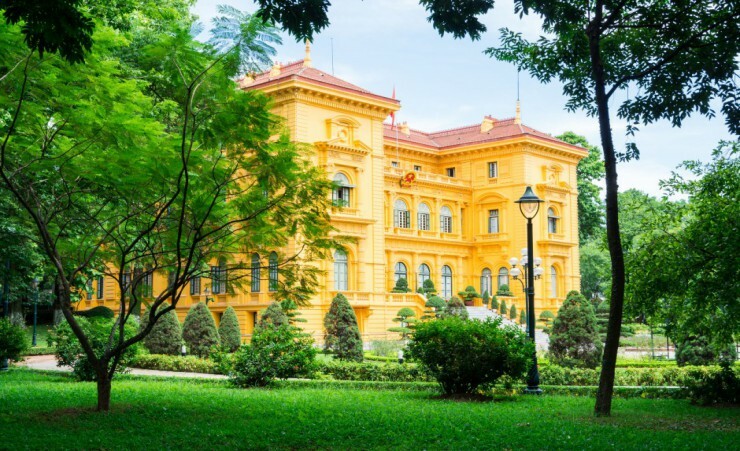 Visit sites including the Presidential Palace built by French colonialists in the early 20th century, Ho Chi Minh's Stilt House and the One Pillar Pagoda. 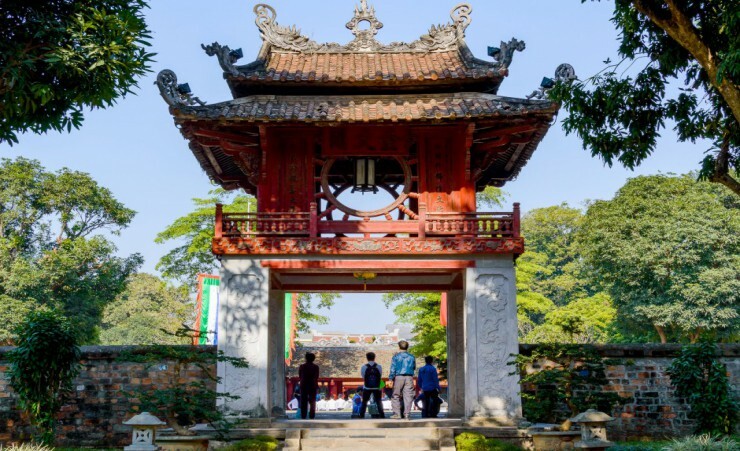 Explore the courtyards and pavilions of the Confucian Temple of Literature then return to the lively Old Quarter to explore this bustling commercial centre on a cyclo, a three-wheel bicycle taxi. 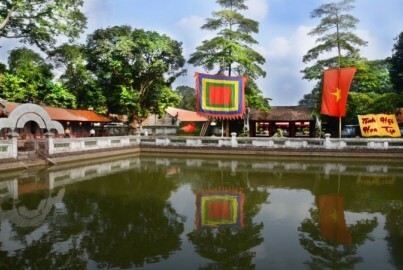 In the evening, experience the Vietnamese arts at the thousand-year-old Water Puppet Show. 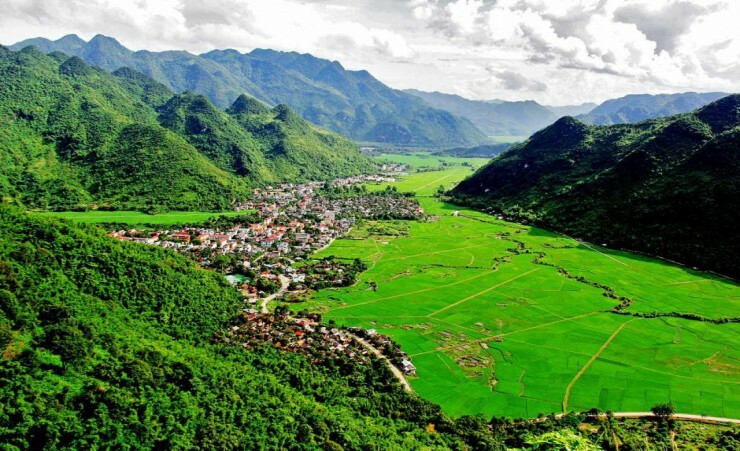 After breakfast, take a scenic drive through the Vietnamese countryside to the rural city of Mai Chau, passing rice paddies and sugar cane fields. Enjoy lunch in a traditional Thai stilt house then begin your walk to Pom Coong village where you'll have the chance to explore the village. Follow gravel tracks and small paths used by the locals and soak in the verdant, rugged mountain scenery as you observe daily village life. In the afternoon, check into your lodge and enjoy dinner later this evening. Follow flat, local roads on today's walk to Xo Village, passing tropical rainforests and rippling corn fields as you journey through the Mai Chau Valley. Gain fascinating insight into local life as you encounter villagers herding buffalo, tilling the fields and logging. Arrive in Xo Village for lunch then continue on for another hour, taking in incredible scenery and lush greenery before arriving at your endpoint where your bus will carry you back to Mai Chau. Arrive in Mai Chau in the early afternoon, with the rest of the day at leisure. Following breakfast, you will be transferred to Pu Luong Nature Reserve via a breath-taking mountain pass which offers panoramic views of the valley. Pu Luong, meaning 'highest peak of the village', is an area of outstanding beauty boasting palm-clad hills, terraced rice paddies and small, sleepy settlements. On arrival at your retreat nestled in the middle of the reserve, check in and enjoy lunch and free time for you to enjoy your tranquil setting. In the afternoon, travel by bus to a suspension bridge over the Cham River, where you begin your walk in search of the mighty water wheels dotted along the river's length. 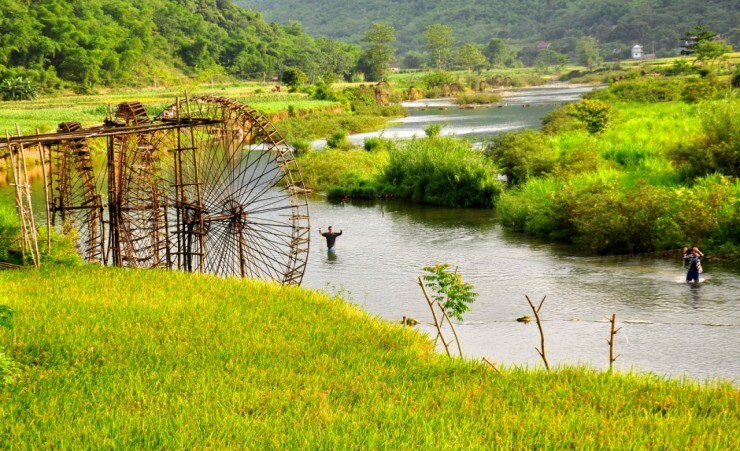 Get an up-close look at the handmade bamboo water wheels and discover how water is moved from the river to these skilfully crafted aqueducts. Continue on to a local fisherman's house and board a river raft for a guided trip along the Cham River. 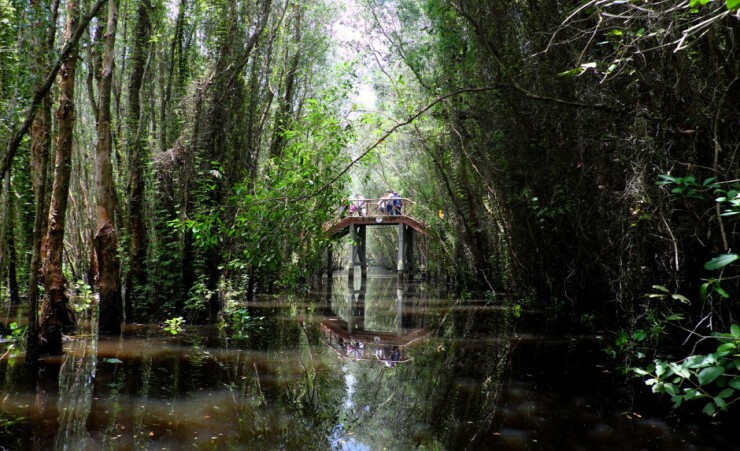 Sail at a leisurely pace down the river before arriving at the Tan Lap Bridge, where towering trees rise from the river to form a tunnel of greenery. Transfer back to your hotel for dinner. This morning, descend into the beautiful valley facing the retreat. Walk past cascading rice terraces and along small paths shrouded in vegetation as a picturesque village reveals itself at the base of a towering mountain. Continue to the base of the valley, weaving between roads, farmland, wild fields and ponds until you reach a scenic spot where you'll enjoy a picnic lunch. After your meal, enjoy some free time to explore the village and observe local daily life and customs. Journey onward to your pick-up point for your transfer back to the retreat. Transfer to Bang Village, the starting point of your walk to Kho Muong Village. Set out on your walk, reaching an excellent vantage point which provides magnificent views. Carry onward into the village which surrounded by a huge mountain range and visit a local family to learn more about their lifestyle and culture. After a picnic lunch and a stroll around the village, visit the nearby bat cave where you'll have the chance to explore its depths and encounter its resident bats if you choose (proper shoes and torch are required). 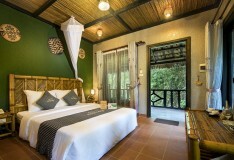 Journey onward through a picturesque natural reserve as you head to Dong Dieng village where you will be picked up and transfer back to your hotel. After breakfast, a coach carries you to the province of Ninh Binh, home to some of Vietnam's most impressive limestone scenery. En route, stop to take photographs of local villages and spectacular rural landscapes before lunch at a local restaurant and check-in at your hotel. This afternoon, board a traditional 'sampan' wooden boat and glide through the water, admiring the enormous limestone karsts jutting out from the green rice fields on the water's edge, giving rise to the area's other name - 'Halong on Land'. The rest of the afternoon is at leisure for you to explore the area around your hotel or relax before tonight's farewell dinner marks the end of your Vietnamese adventure. After breakfast, transfer to the airport for your return flight to the UK, or continue on to your extension. Breakfast is always western style and served in the hotel each morning. 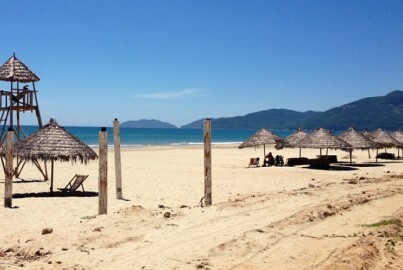 Lunch and dinner will be taken in local Vietnamese restaurants or at your accommodation. A variety of restaurants are visited giving you the chance to experience a range of dishes and flavours. All walks and treks are led by a knowledgeable, local, English-speaking guide and accompanied by a back marker, with well-timed rest stops and picnic breaks factored into all itineraries. While we can never guarantee weather conditions, departure dates have been carefully selected in order to avoid extreme weather conditions, such as severe heat, cold or rain. Enjoy comfortable, hand-picked accommodation with all meals provided; packed meals may be provided for long walks and treks. Baggage is always transported to your next hotel or lodging with porterage included. A wide selection of extensions is available at the end of your tour, giving you time to relax and unwind or explore your destination further. Once you've booked your tour, a comprehensive dossier will be sent to you with a more detailed day-by-day itinerary, flight details, visa requirements and helpful information on what to pack. Until 30th June 2021, a visa is not required for stays up to 15 days. 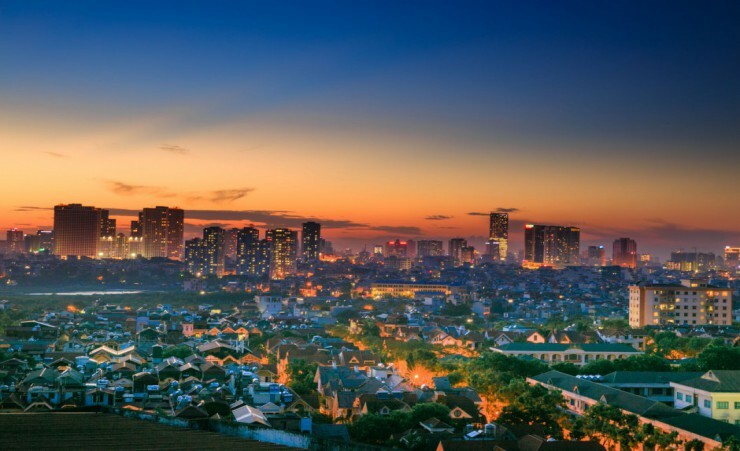 From the 1st July 2021 and for longer stays a visa is required for entry into Vietnam. You can apply for an e-visa online at https://evisa.xuatnhapcanh.gov.vn. The cost of the visa is approximately USD$25 and will take roughly 3 working days. Alternatively, we work closely with The Travel Visa Company who will be able to arrange your visa for you on your behalf. Please call them on 01270 250 590 and quote 'Mercury holidays'. The cost of the visa is £105. The visas take around 10 working days to issue and are only valid for 3 months from the date of entry. We, therefore, recommend that you apply for your visa 8 weeks before travel, however, please be aware that your passport will be required for the application so make sure that you will not need it during this time. Alternatively, you can visit the Embassy of Vietnam in London: 12-14 Victoria Road, London, W8 5RD. Your flight is to Noi Bai International Airport in Hanoi with Vietnam Airlines (VN) departing from London Heathrow Terminal 4. Each passenger is entitled to 30kg of hold luggage and one piece of hand luggage not exceeding 7kg and with maximum total dimensions not exceeding 115 cm (56 cm x 36cm x 23 cm). Should you wish to take additional luggage you will need to pay extra at check-in. Heathrow Airport advises that check-in should be three hours before your flight departure time. If you wish to arrange Airport car parking or accommodation at preferential rates, we recommend you book this in advance with Holiday Extras on 0871 360 2000, quoting HX313. During this walking holiday walks will average 2-3 hours daily. Walks will be along varied, flat, level terrain, with some inclines and will range from village trails through the countryside to rainforest walks. This holiday requires a reasonable level of fitness. If you are in any doubt as to the tours suitability, please speak to your GP as soon as possible as this is a physical holiday. The minimum number of travellers in your group will be 8, and the maximum will be 18. If in the unlikely event there are less than 8 people booked on your tour date, we will endeavour to reduce any disruption to your holiday and try to operate your tour with lower passenger numbers. If we are not able to operate your departure date then you may be asked to change to a different date and a full refund will be made available to you should this alternative not be suitable. This is a fully escorted tour, meaning that you will be met on arrival by your national guide who will remain with you for the duration of your trip. You will also be joined by a backmarker on each of your walks. The currency in Vietnam is the Vietnamese Dong, known as VND. You can exchange your currency in Vietnam, however, US Dollars are widely accepted in Vietnam should you wish to keep an alternative currency on you. You will need to take some extra money with you to cover any personal purchases, such as souvenirs, laundry and extra drinks and snacks. Approximately £200 - £300 per person will be sufficient for the duration of the tour. It is customary to tip both your driver and guide approximately £5.00 ($6.00) per person per day in total. This will be collected at the end of each destination visited for your convenience. Tipping for the porters at your hotels will be at your discretion. Tips are accepted in the local currency, US dollars and British pounds. There is a distinct summer and winter season in North Vietnam, Hanoi and surrounding areas. The cool but mostly dry winter lasts from November to April when temperatures are around 17 to 22 degrees with the coldest months being January through to March. Summer is from May until October where it can be hot and humid with high rainfall. July to September are often the wettest months. A light rain jacket or small umbrella are recommended year-round. Vinh our tour guide was knowledgeable, friendly, funny and very efficient. Apart from when he was out of contact with us know one had his number. All the staff at each of the hotels were very polite and always appeared happy. Each hotel, or lodge had its own character and atmosphere. They were quite varied but all gave excellent service. All of the hotels were lovely and clean and staff very friendly. We had a fantastic time and would not hesitate to do it all again. Our guild Vinnie was great and was very informative about local history and people. Our guide (Do Dinh Vinh) made the holiday loved the walking brilliant. The hotels were first class and would recommend to friends. The holiday was amazing. (Vinnie) Mr Vinn was a fantastic guide and informed us of many local customs. He was passionate about his country and we loved it. All the hotels chosen were of a high standard. Staff were excellent, hospitable, nothing was too much for them. The food was also of a high standard, the portions were really very big! 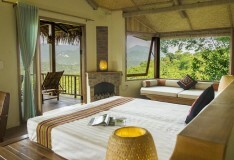 I especially enjoyed being at Pu Luong..as you described it as...."breathtaking" absolutely amazing! The hotels were clean and had good facilities. All the hotels were exceptional especially the retreat in the hills, forget its name but had panoramic views of the mountains and paddy fields. The little boutique hotel in Hoi An was superb with the manager Paul taking an interest in us , enjoying an evening with the 3 of us who decided to stay at the resort. The other hotels were good no complaints. He wanted to know about the tour and who we were travelling with as he got the booking through an agent. We gave him a copy of Mercury brochure as he wanted to know how his hotel was described. 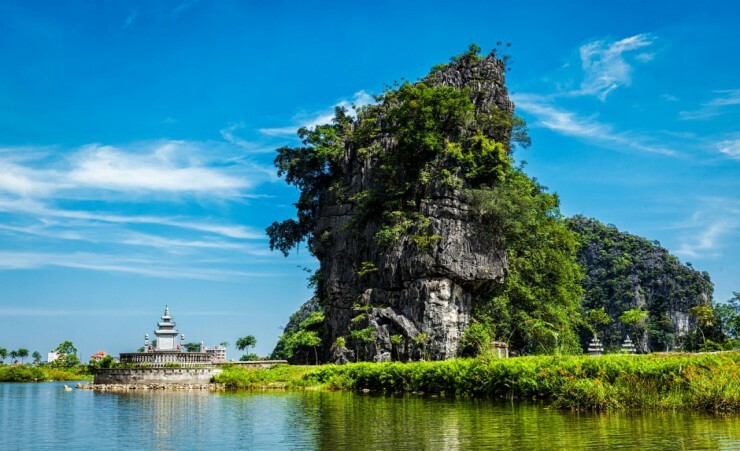 Combine the famous sites of Hanoi such as the Ho Chi Minh Complex and One Pillar Pagoda with an overnight luxury cruise on the awe-inspiring Halong Bay, passing local towns, fascinating intricate limestone formations and visiting the impressive Thien Cahn Son Cave.